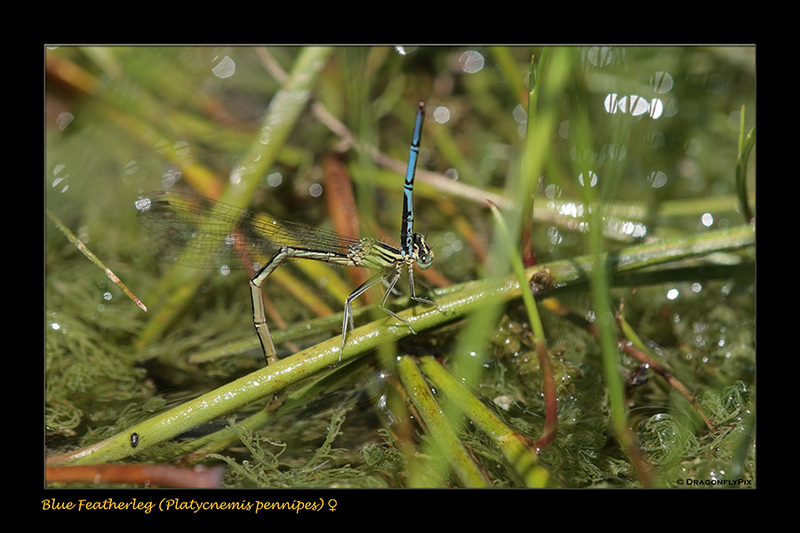 Possibly the most tragic situation is shown in this photograph (made in Italy in July 2007): a female Blue Featherleg (Platycnemis pennipes) can be seen with a male's claspers still attached to her pronotum. What exactly happened to her mate is of course a matter of speculation, but his bitten-off abdomen would suggest that he fell victim to a predator (possibly a bird) which made off with the rest of his body. Now it would seem this female has been condemned to a life of forced celibacy; unless she can somehow free herself of the male's claspers, she will not be able to copulate with other males and her eggs will remain unfertilised.